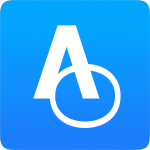 App Review 360 makes it simple to monitor iOS App, OS X App, Podcast & iBook reviews & ratings from all countries on iTunes Store. Keep on top of your reviews without having to go searching. All reviews delivered. Keep on top of your reviews without having to go searching. View detailed reviews, when and where they were posted and and by who. View global iTunes App Store ratings by country, allowing you to see deviations across stores. Translate international iTunes reviews within the App Review 360. We think you’ll love App Review 360, just like this lovely user. Available Free on the App Store for iPhone & iPad.